Here comes MJX Bugs new family member: B3pro! A super cool drone which is exactly the beginner drone that you need. With the special appearance, you will love it at the first sight. This version doesn&apos;t include camera set. 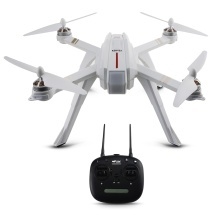 High Capacity Battery: Fly up to about 20 minutes on a single charge, using the included 2800mAh battery.